Lydia Moss was born in Vevay, Indiana on July 31, 1816, the daughter of Zeally and Jennett Glasscock Moss. Prior to Lydia's birth, Zeally Moss owned a plantation in Kentucky, but decided that he did not want to make a living based on slavery. He reportedly, "gave the place rent free to his Negroes to work out their own living, while he crossed over into free territory to make his home and rear his family." Lydia Moss Bradley believed that industriousness was required of all able-bodied members of a community. Despite her limited education - in a neighbor's kitchen with no heat, few books and handmade quill pens - Lydia learned the practical things of life and developed the strong business sense that would serve her so well as an adult. Lydia's father gave a young colt that had lost its mother to his daughter to raise. After raising enough money for a saddle and bridle, and enjoying the horse as the only access to a social life in those days, she sold it in exchange for 40 acres of forested land. She cleared the land and sold the timber, and met Tobias Bradley, who was running the sawmill where her timber was processed. Lydia Moss Bradley finally decided that she wanted to establish a place of higher learning as a lasting memorial to her husband and children. She began investigating schools as models for the one she planned to endow through her will. 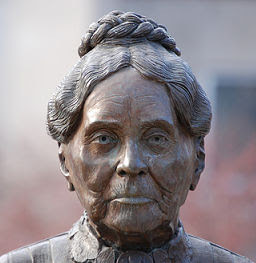 In 1877 Bradley visited Rose Polytechnic Institute in Indiana which offered degrees in engineering and the sciences because she wanted to give young people "the most practical assistance at the best time of their lives to make them independent, self-supporting, useful men and women." She owned 680 acres of Manito Marsh; she had the land drained and built farm buildings and fences, and began cultivating the land for farming, but the crops did poorly. When the crops failed to improve over time, she sent samples of the soil to Champaign for analysis. The soil was very rich, but it lacked potash. By amending the soil, Bradley's farms became successful. Bradley was a strong, independent woman at a time when women were still expected to be submissive, but her willingness to seek out experts to aid her in her decision making was perhaps the greatest key to her success. In 1885, after nearly doubling the value of the estate left to her by her husband, she hired W.W. Hammond as her business manager, starting a relationship which lasted until her death and beyond - Hammond managed the affairs of Bradley's school until his own death in 1920. ...it being the first object of this Institution to furnish its students with the means of living an independent, industrious and useful life by the aid of a practical knowledge of the useful arts and sciences. ...in the few sentences she uttered were compressed the ideals she had cherished for half a century. She said she hoped the institute would be a real benefit to mankind; that it would be the means of making better men and women; that boys and girls would find in the new institution of learning an incentive to intellectual life was her ardent wish. 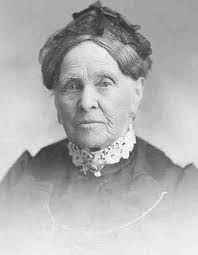 Establishing the school during her lifetime gave Lydia Moss Bradley the enormous emotional satisfaction of seeing the creation brought about by her efforts. All records indicate that she rarely missed special events at the Institute. She is said to have entertained students in her kitchen and garden some afternoons, and she is almost always reported to have been an honored guest on founder's days and graduations. In many speeches and memorial addresses after her death, those who knew her felt that the Institute had a profound effect on Bradley's happiness in her later years. Students, faculty and trustees were also glad that they had the opportunity to express their appreciation to their school's founder while she lived. Without that satisfaction, she would have had far less reason to live such a long and active life. Pleased with its progress, Mrs. Bradley transferred to the school the rest of her estate, including nearly 1,000 different pieces of property, reserving its use and profits during her lifetime. At Founder's Day in 1906 she announced an additional gift to build Hewitt Gymnasium, now Hartmann Center for the Performing Arts. The Institute continued to grow and develop to meet the educational needs of the region. It became a four-year college offering bachelor's degrees in 1920 and a full university with graduate programs in 1946, when it was renamed Bradley University. Today it is a fully accredited institution that provides education in engineering, business, communication, teacher education, nursing, physical therapy, fine arts and the liberal arts and sciences. In 1998, Bradley was inducted into the National Women's Hall of Fame.